Get photo ops with realistic looking wax replicas of international and Thai celebrities with your admission to Madame Tussauds in Bangkok. 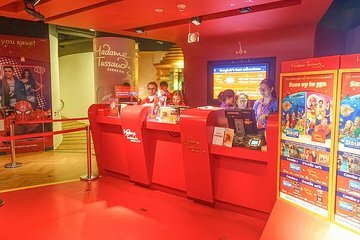 Take a self-guided tour of the exhibits as you walk through rooms filled with lifelike wax figures of celebrities from the worlds of film, sports, politics and more. You can also learn how the wax figures are made.